Quantity or Quality? Which do people prefer? Let's look at some scenarios. Would a person rather have 1 excellent piece of cake or 3 bland pieces of cake? Would a family choose one night at a 5 star hotel or 2 nights at a run-down hotel? Would a person rather have one new luxury car or three tired, about-to-break-down cars? Would a person rather have 1 nice coat or 2 worn out coats to wear? Would a family choose one day at Disney World or two days at a run down carnival? Would a family rather eat once at an excellence restaurant or twice at an okay restaurant? Let's put that in the context of a ministry. Which will a family choose? A church that has a few programs that are done with excellence or a church that has a lot of mediocre programs? Which will a guest return to? A church that has a ministries that are well staffed with volunteers or a church that has lots of ministries with volunteers spread thin? Which will catch a parent's attention? 1 very well done event or 3 disorganized events? Which will engage a child? 1 great video or 3 mediocre videos? Which will be more successful? 1 well-funded initiative or 4 under-funded initiatives? 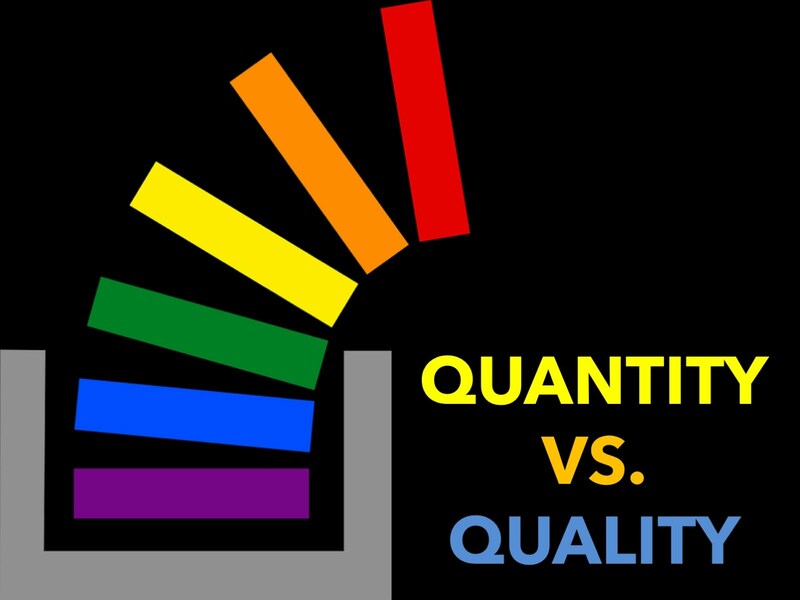 I believe the best way to grow a ministry is to choose quality over quantity. People are draw to excellence. The more quantity you have, the harder it is to achieve excellence. The thinner your budget is spread, the less overall return you will see. The more programs you have, the harder it is to hit volunteer to child ratios. It is true. Less is more. The more you focus your time, talent and resources on less, the better the results will be. You can't be all things to all people so don't try. Find your ministry nitch and be laser focused.